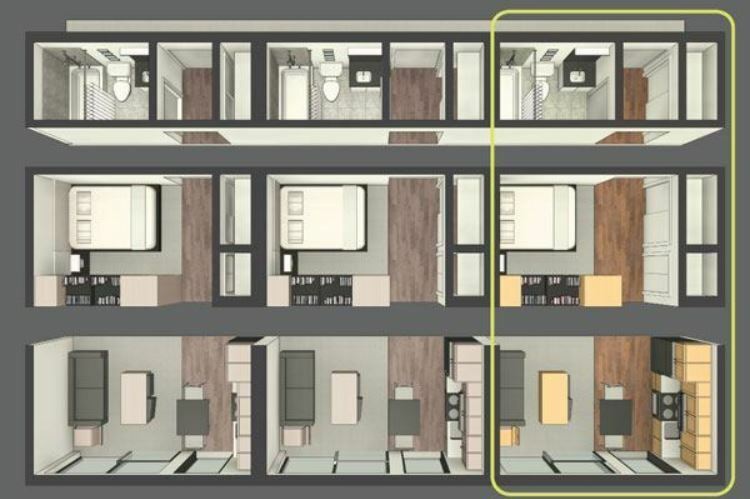 The rise of the "micro-unit" indicates that politicians have given up on affordable housing. In 1867, New York passed its first law to specifically regulate tenements. For the first time, they were required to have enough fire escapes, and a window in every bedroom — even if it only opened into another room. The law also required basement residences to have ceilings at least seven feet high and a window to let in light, among other things. “Americans should also be able to economize and live in as little space as they desire,” the authors concluded. There’s an increasingly blurry line between housing that’s affordable and housing that’s cheap because it’s almost uninhabitable. Free-marketeers at least have the courage of their convictions on this point — let capitalism give people homes to match their poverty. Liberals, on the other hand, try to split the difference. New York City, for example, bars the development of for-profit “single room occupancies” (SROs) — the classic twentieth century micro-unit — while it tries to keep the ones that already exist. Local officials know that enforcing regulations on existing SROs would force their residents onto the street. But they also don’t want to let the market meet the enormous “demand” for wretched housing; the city would then have to legally bless the substandard as standard. Embracing SROs would set a new, lower bar, while potentially jacking up prices for everything above it. That leaves New York with little more than mythical rent-controlled apartments, affordable units that are literally awarded by lottery, and public housing that has a waitlist hundreds of thousands of people long. It hasn’t always been this way. In the 1930s, when tenements still housed hundreds of thousands of New Yorkers, it was almost the opposite. There was no housing shortage, yet wealthy liberal reformers conspired to create one, to get people out of the city’s enduringly crummy buildings. First, the city cracked down on enforcement and added new rules the reformers knew tenement landlords couldn’t or wouldn’t be able to follow, explains Nicholas Dagen Bloom in his book Public Housing That Worked: New York in the Twentieth Century. That led to the demolition of tens of thousands of apartments, displacing a small city of people. With help from leftist groups and trade-union organizing, that, in turn, generated political pressure to build public housing — which eventually got built on an enormous scale. It was like the Shock Doctrine, but for socialism. The strategy was imperious and heinous, inseparable from the “slum clearance” policies that devastated neighborhoods across the city. Few of the displaced got to move into the new, public apartments, moreover — there weren’t enough of them, and too few were allotted for people on welfare. But it’s also an object lesson in the smallness of modern thinking on housing. Mayor Bill De Blasio’s just-released plan for New York calls for the city to “relax” the legal minimum size of an apartment. Miami officials recently proposed allowing units as small as 275 square feet, down from 400. The city of Whitehorse, which is dealing with a housing crisis up in Canada’s Yukon territory, greenlit an “affordable” project earlier this year with 350-square-foot units. The future of the status quo is clear. Public-private partnerships will continue to yield a sprinkling of homes for poor people. And private enterprise will build caves for a new century. F. T. Green is a reporter in Toronto.